Via nytimes.com “Jud Suss” is among 40-odd Nazi productions that cannot be exhibited in Germany without the presence of scholarly context. 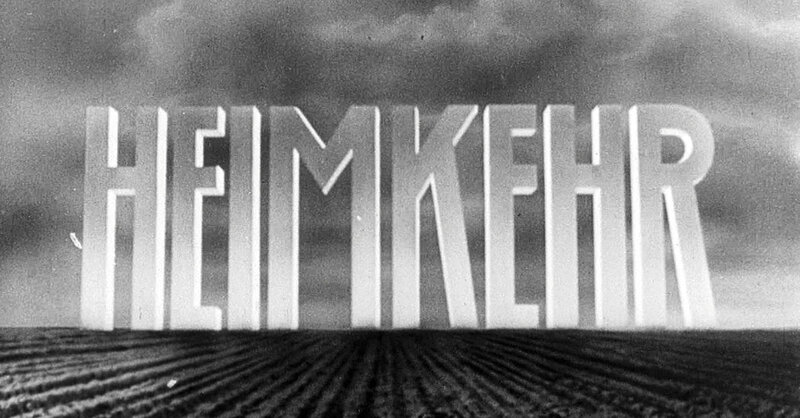 The director of “Forbidden Films,” Felix Moeller, provides that context with this survey of the Nazis’ film output, which was pro-German and anti everyone else – Jews, French, British, Polish. He layers clips from the films with reactions from German professionals (a historian, a filmmaker), audiences today (German and Israeli) and, shrouded in shadow, neo-Nazis. It’s a sober treatment of sobering material. If the Nazis have been viewed as especially horrific because they arose within a highly developed Western culture, their propaganda films in turn offer the shock of seeing a popular modern form of art and entertainment being employed to incite and justify hatred and violence. Mr. Moeller, who also directed a film about the director of “Jud Suss,” seems to lean toward not suppressing these films, but even their nuance-free scenes of chest-thumping Nazi pilots and homeland-loving hausfraus remain uncomfortable to watch. This is a documentary fascinated with and fearful of cinema’s potency, but it’s also devoted to the idea of open discourse, a stance that underlines the urgency of thinking about film critically. PropagandaGuard was created for the purpose of alerting citizens to the ever present dangers of propaganda, helping them to recognize and protect themselves and families from its corrupting effects. You cannot protect yourself from things which you are not aware. Understanding does not stem from a simple dictionary or wikipedia definition. In the end, the question you must answer is...Have you made your way out of the Matrix? Dedicated to exposing the malignant and pervasive dangers of propaganda and “Fake News”. American Mainstream Media-Vast Propaganda Outlet? What is This Russian Hacking Propaganda All About? Why Do The Ranks of the Pissed Off And Offended Seem To Be Swelling Uncontrollably? The Debate System Went Flying Off The Rails At What Moment In History? ©2010-2018 PropagandaGuard. All Rights Reserved.